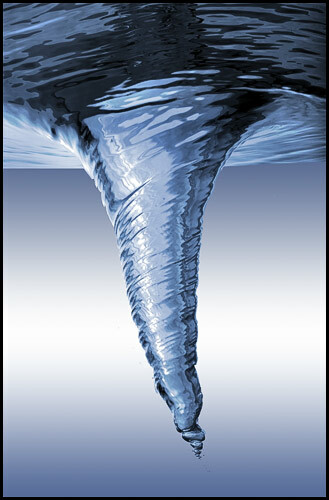 I was lucky enough to be shown a picture of what I can only describe as an inside out view of a vortex. It’s the most beautiful view of a whirlpool I’ve ever seen, a truly spectacular result for someone who has obviously given some serious dedication to the art and craft of his chosen profession. Luckily, Paul was generous enough to let me post my new favourite thing on my own website. I found this on youtube, thought it would be a nice thing to look at what with so much of what’s on this site happening around Bristol and the South West of England.